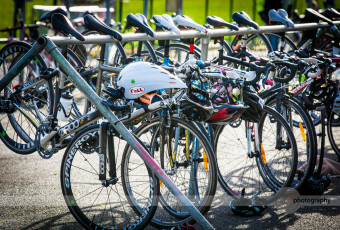 Last Easter Sunday saw the third and final race of the The Butchers Block Naas Duathlon Series hosted by Naas Triathlon Club at Punchestown racecourse. 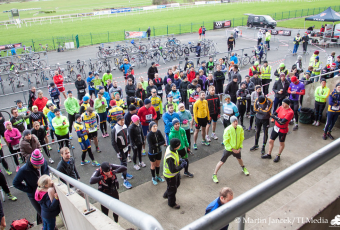 150 competitors left the easter eggs at home and kitted themselves out for a chilly Easter morning and a final chance to gain National Series points at this race series. 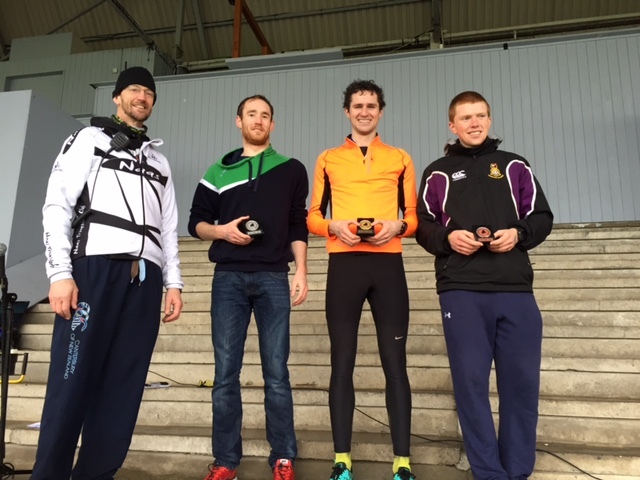 The 3 race series men’s winner award went to Eoin Lyons from Waterford and was presented by Race Director Niall Duffy. 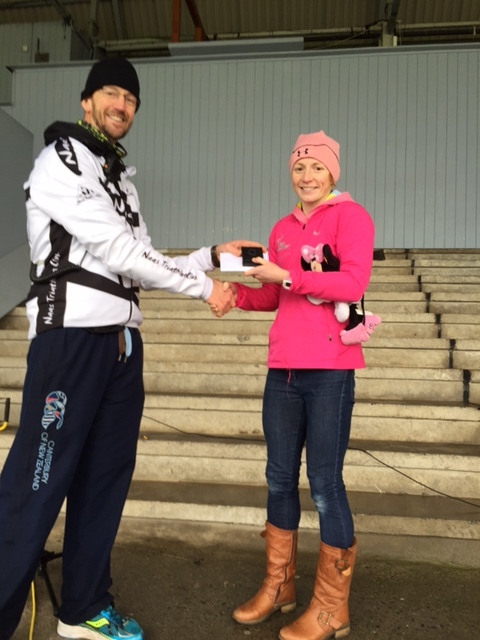 Suzann Scanlon was the ladies race series winner. In this third race, a close battle for first position was fought out in the men’s race with Kieran Jackson finishing first in a time of 54:10 followed closely in second by Cian O Reilly in 54:39. 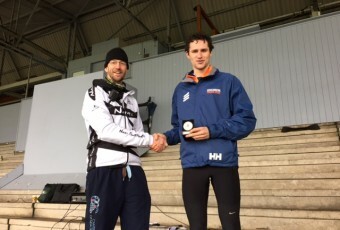 Liam Dunne took third place in 55:23. Aine Donegan claimed the prize for first lady home in 1:03:55. Bronagh Adams took second place while Cathy Kenneally came home third. Once again a very successful race series has been completed with sponsors Butchers Block and thanks to Punchestown Racecourse and both Kildare & Wicklow An Garda Sciochana Divisions for their support in running these events. 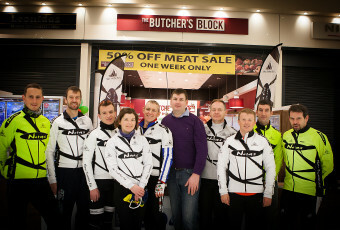 Naas Triathlon Club hosted the second Butchers Block Duathlon National Series race at Punchestown racecourse on Sunday 21st Feb. Very challenging conditions greeted the competitors at this event as the wild weather and strong winds meant finishing this race was in itself an achievement. With 15 of the 200 odd competitors finishing the event in under an hour it was a reflection of the calibre of competitor in this National Series & Intervarsities Championships competition. Para Triathlon formed part of this event for the first time with a number of para-triathletes competing in the Duathlon. Naas Triathlon Club also hosted a time trial as part of para-triathletes preparation for international Para Olympics 2016 time trials. The determination and skill of these competitors was particularly impressive and a welcome addition to this event. The duathlon saw Cian O’reilly lead all the way through the run/bike/run to be first man to claim a podium first in a super time of 00: 54:41. Michael Reilly claimed 2nd place with Will Byrne 3rd in the men’s race. The women’s race was won by Heather Foley in a time of 1:01:01. Aileen Flynn claimed second podium spot with Kim Hickey in third. The final leg of the Naas Duathlon Series takes place on March 27th at Punchestown and is available for registration at naastriclub.com. 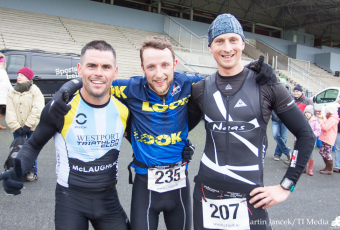 Race 1 in the 2016 Naas Duathlon Series on the 17th Jan is now FULL. Places for Race 2 & 3 are selling out fast. 3.2km run around Punchestown racecourse ( on Tarmac track outer road). 20 km out and back bike route to Blessington. Then 3.2km run around same run circuit. The 3 races which take place on January 17th, February 21st & March 27th 2016 are part of Triathlon Ireland’s Duathlon National Series races and will be keenly contested by athletes looking to score points for this Competition. A testament to the popularity of this race series, now in its 10th year, the February race will be the Duathlon National Championships, the premier age group competition. Online registration will be opening 1st December (REGISTRATION LINK) with a discount if your register for all 3 races. If your goal is triathlon in 2016, then this race series is one to consider. Naas Tri Club have a structured training program over the winter months in swim, bike & run and welcome new members to come along to try any of their training sessions.